Luray Triathlon Partnership with Hawksbill Brewery A Big Success! Home/News/Luray Triathlon Partnership with Hawksbill Brewery A Big Success! For the 2nd year in a row the Hawksbill Brewery in Luray, VA sponsored the double event at the Luray Triathlon, appropriately named the Hawksbill Double. 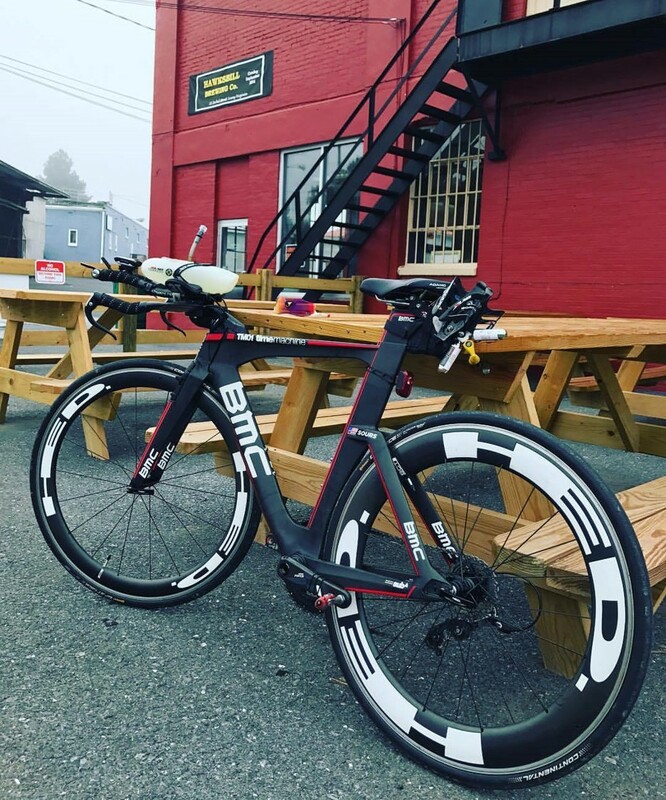 The Hawksbill Brewery is a new, local, craft brewery in Luray, Virginia and has quickly become the favorite go-to-spot for the athletes to hang out during the Luray Triathlon weekend. Last year, though they sponsored the event, the brewery was not yet open for people to enjoy. This year however, owners, David Sours, Operations Manager, Jim Turner, in charge of Finance and Marketing, and Kevin Crisler, the Brewer, were excited that the Hawksbill Brewery was open after a successful grand opening this past May, and decided to extended several Special Offers to Participants, Award Winners, and Volunteers of the Luray Triathlon. There was a positive and fun atmosphere in the brewery and great camaraderie between athletes sharing their race experiences. It was an ideal after party to the Luray Triathlon and athletes expressed the partnership between the Luray Triahtlon and the Hawksbill Brewery was fantastic and a “Win Win Win for everyone”. Between David, Kevin, and Jim, their relationship with Luray Triathlon dates back to at least 2008. For David, that is as both a volunteer and as a triathlete – and now he’s even doing the Hawksbill Double! Jim and Kevin have both volunteered for several years – Jim has served in every volunteer capacity for the event, including a water rescue for someone having an asthma incident during the swim. This year, participants from the brewery included two of their employees in addition to David – Allysah Fox also did the Hawksbill Double, and Grayson Love was a first-timer in the Luray Sprint.